I have an excellent print of the Ikuta Temple for sale. A crowded festival day on the approach to the shinto shrine Ikuta Jinja in Kobe’s Sannomiya. This was a beautiful rural sand-road lined on both sides with plum and cherry trees and countless stone lanterns when Kobe opened its port for trade in 1868 (Meiji 1). In the 1870s, the trees and lanterns were removed and the country road became a bustling shopping street. 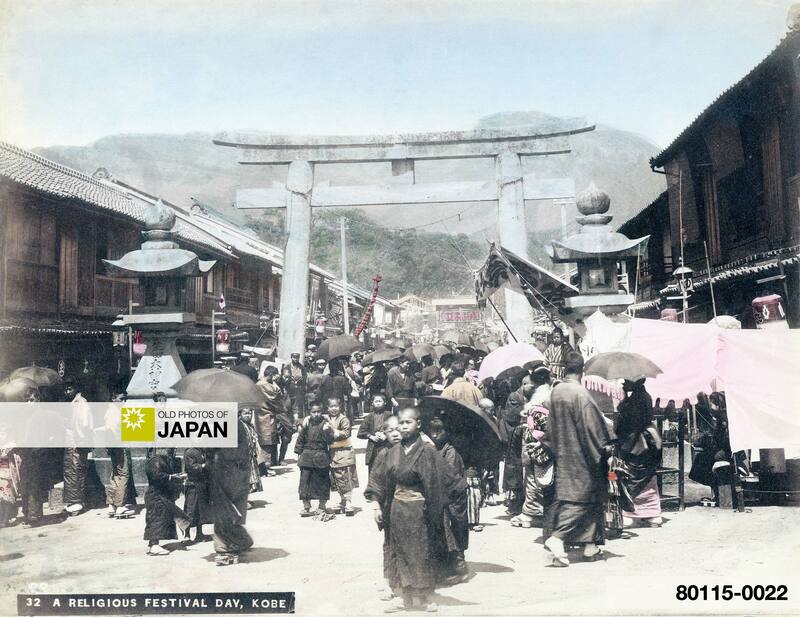 See Kobe 1910s • Sannomiya for a photo of the same street closer to the sea, taken in the 1910s. 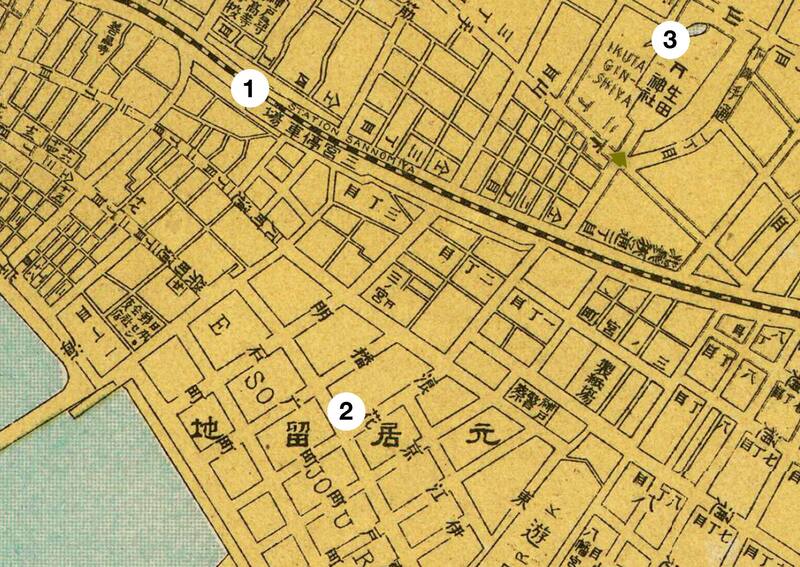 1891 (Meiji 24) Map of Kobe: 1. Kobe-Osaka rail connection; 2. Foreign Settlement; 3. Ikuta Jinja. You can also licence this image online: 80115-0022 @ MeijiShowa.com. This place is impossible to recognize today. There is a huge Tokyu Hands store and it doesn’t feel as open any more with all the big buildings. I would have liked to have seen it when it was still a country road with a lot of trees and lanterns. It’s a facinating picture with all the people in traditional clothing. Also interesting is the uniformity of the wooden shops and houses with their tiled roofs.